While essences and serums are for treating different skin concerns and problems, the point of moisturisers are to increase hydration and provide moisture to the skin. When your skin is properly hydrated, you can prevent skin from being too dry or oily, protect sensitive skin, slow down and diminish signs of ageing, and improve skin texture, tone and clarity. Not using a moisturiser at all can compromise your skin barrier, causing more skin issues and developing more wrinkles. Moisturisers can be split into 3 main ingredient types which form the basis of its texture, consistency, effectiveness and suitability for different skin etc. Humectants – humectants are hydrating molecules that are able to attract and retain moisture drawn from the air or from deeper skin layers via absorption. When using a moisturiser with humectant ingredients in it, they will help increase and maintain moisture on the upper layers of your skin to provide a plumping effect and smooth out fine lines. Virtually every moisturiser, essence, serum or ampoule will contain some humectants and are great for most skin types. Occlusives – water loss is one of the main causes for dry and dehydrated skin and creates problems such as flaky skin, dry patches and that tight feeling from within. Occlusives are therefore great for dry skin types because they create a thin moisture film over the skin which acts as a barrier to trap and prevent water loss. However, occlusives don’t add moisture to the skin, it simply slows the evaporation of water so that’s why it is used in conjunction with humectants that draw water to the skin before the occlusive seals it in. This is less suitable for oily skin types and those prone to acne because it can be greasy, leave a thick, heavy feeling on the skin, be comedogenic, and cause breakouts and irritation for sensitive skin. Emollients – emollients are ingredients that smooth out the skin’s surface by filling in the gaps between skin cells to give softer, more flexible and less flaky skin. Emollients sort of sit in-between a light humectant moisturiser and a heavier occlusive moisturiser. Emollients share similar occlusive properties as they also prevent water loss (though not as effective or as long-lasting), but tend to be thinner and more creamy/spreadable than the latter. 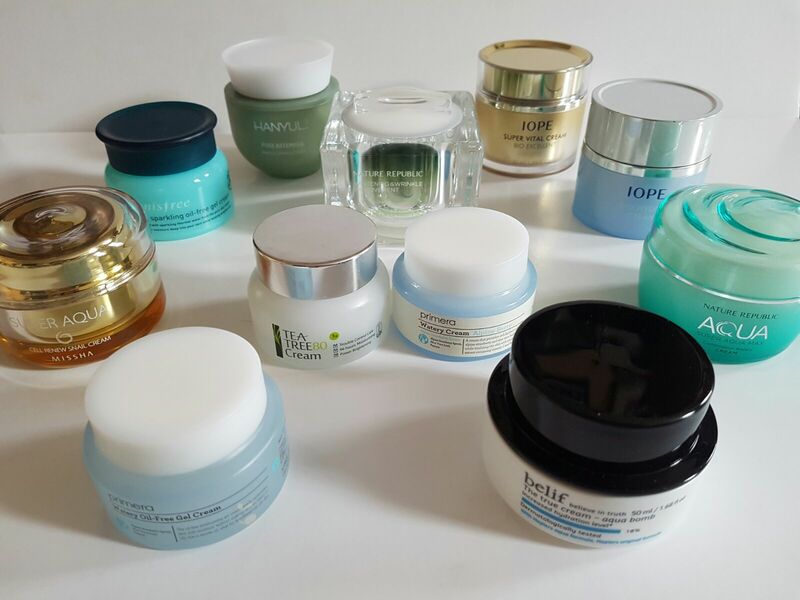 These creams are great for normal-combination skin as well as slightly dehydrated or dry skin. Moisturisers are important regardless of your skin type. Many people with oily skin neglect this step because they think it will exacerbate the oil issue but it really is just about finding one that is suitable for your skin. There are a multitude of different moisturisers on the market for different skin conditions and types – for dry, oily, combination, sensitive, acne-prone etc. Not all moisturisers are heavy and occlusive. Having the right balance of water and oil is crucial to having healthy skin. Many people with oily skin on the surface, and who shy away from moisturisers, actually have dehydrated skin inside; they are not able to retain as much water so the sebaceous glands overproduce more sebum aka oil to compensate. A moisturiser will help optimise the balance of water and oil. On the other hand, someone with dry skin who slathers on lots of occlusive, oily moisturisers can actually suffer from dehydration: a lack of water which means their skin still feels dry and tight. This indicates they need more humectant ingredients/hydrating steps in their skincare as occlusives don’t add more water, they just retain what little you already have. Emulsion – most Korean skincare lines have an emulsion in their lineup and this is a light moisturiser which is perfect for oily and combination skin types because they are very lightweight. Lotion – this is also a lighter form of a cream but slightly thicker than an emulsion. Gel Creams – these are lightweight and absorb quickly because they are more water-based than traditional creams and don’t clog your pores – better for oilier skin that is prone to breakouts. Creams – these are typically more emollient and occlusive than the previous categories as they contain more oils to nourish and lock in moisture. They also work best as night creams and are suitable for dry and ageing skin types. Facial Oils – this category is a little different and straddles the line between the essence and moisturiser step. Oil blends can be designed as a treatment step for targeting specific skin concerns but are also great for moisturisng dry, flaky skin. Where you apply in your routine depends on its consistency (some are very lightweight and watery, others can be very oily). Generally it can be applied in your essence step but heavier oils can be mixed in with your serum or moisturiser. Some brands even recommend it as the last step in your routine to seal in all the previous steps. Note: You skin is never just one type and is always changing according to the weather and seasonal climate. It’s good to adjust your moisturiser when your skin changes because a gel cream in summer may not be sufficient for the colder winters. You may also want to use a different moisturiser for day and night. Sleeping masks (like FTEs), are one of those products that have really taken off in Asia but are less commonly found in the Western market, which is slowly catching on but you won’t see as much variety. Sleeping masks are born from the knowledge that during the day, our skin experiences a lot of stress and disruption from environmental factors like free radicals, pollution, stress, weather, indoor heating and UV rays etc. All these factors can not only disrupt the moisture/oil balance of our skin and its texture, but can cause the breakdown of skin cells, resulting in premature signs of ageing too (including wrinkles, pigmentation, dullness). However, did you know that when you sleep at night is the skin’s most effective time to repair itself? At night, your skin has an increased cell renewal rate. This means its working its hardest to reverse skin damage, boosting its collagen production and fighting free radicals. Skin cell regeneration almost doubles between the peak time of 11pm-4am, which is why its important to ensure you’re asleep at this time to reap the benefits. At night, the skin temperature is also higher and has better absorption capabilities which therefore makes it more receptive to active ingredients as they can penetrate deeper and work more effectively without external inteference. However, on the flip side, more moisture loss from your skin occurs at night which is why its important to ensure you’ve moisturised well to hydrate and trap water that may be lost during your sleep. The above points are what makes having a sleeping mask so important. A sleeping mask not only provides an intense moisture boost to your skin, it also works to aid your skin in repairing itself with active ingredients to provide smoother, softer, plumper skin and an improved complexion/reduced dullness when you wake the next morning. It is different to a night cream because night creams are more for hydrating, soothing and providing a protective barrier over your skin. A sleeping mask does all that but has the added function of nourishing and treating your skin much like a serum does with active ingredients to combat skin issues. This is applied at the very last step of your skincare routine before bed and is a treatment product to be used 1-2x a week to give your skin that extra boost when needed. However, it can be used more frequently, or even daily if your skin agrees with it. I personally like to use it 3-4x a week or daily during the wintertime. Note: It can be applied over your regular night moisturiser or take the place of your moisturiser instead, if you don’t feel you need that much hydration. 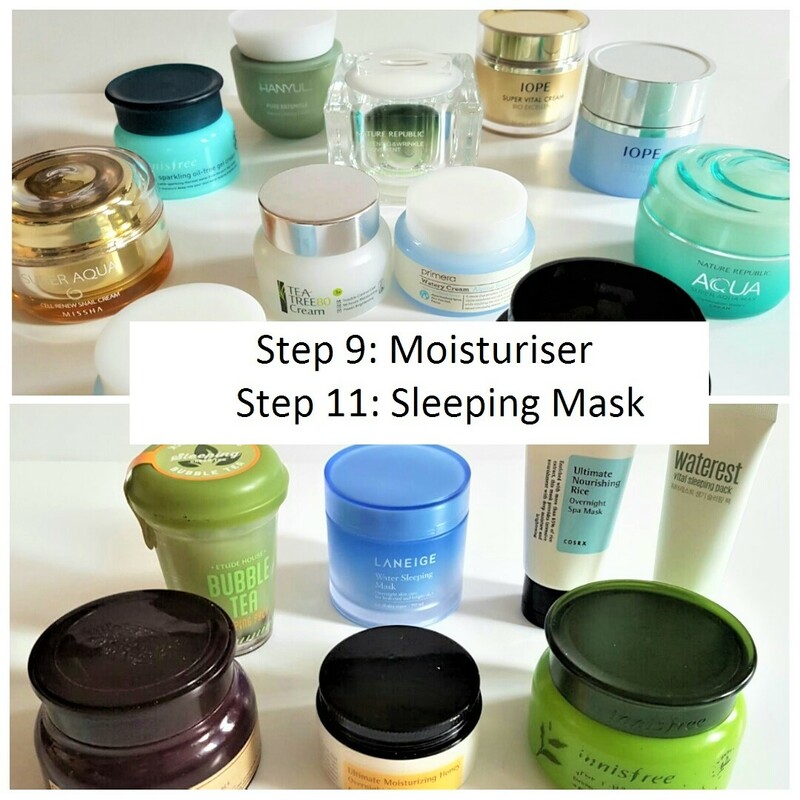 My favourite method of applying is to do my normal skincare routine in the early evening and then just before I go to bed, I will apply a sleeping mask for the added hydration and to seal everything else in. That way it gives my normal night cream a chance to absorb properly before I add another layer, and doesn’t feel too heavy on my skin. You can definitely put an emulsion and moisturizer together especially if the latter isnt hydrating enough. If you decide to use a sleeping pack however, I would only use an emulsion or moisturizer with it and not all 3 at the same time. choose between the moisturizer or the sleeping mask? Both methods are fine to do. It all depends on how dry your skin is and if you need the extra moisture boost or not. OMG. This is very helpful. I live korean skin. And I’m trying to make reviews about korean skincare . Wow, I stumbled upon your blog via your review of the Floria Peeling gel (got it as a tester and there was no English text on it, so I wasn’t even sure what it did, haha), great writing. So happy about this series in particular! I’ve been reading a few different A/K-beauty-centered blogs and some “lists” on how to build a beauty routine, but I honestly found yours one of the most comprehensive so far. Love love loved this whole series!!! Thanks for putting so much thought and time in! One problem I’ve encountered is when I’m looking at products to buy, I often am not sure what category they fit in…meaning they aren’t often labeled: ampoule or essence…how can you tell them all apart? 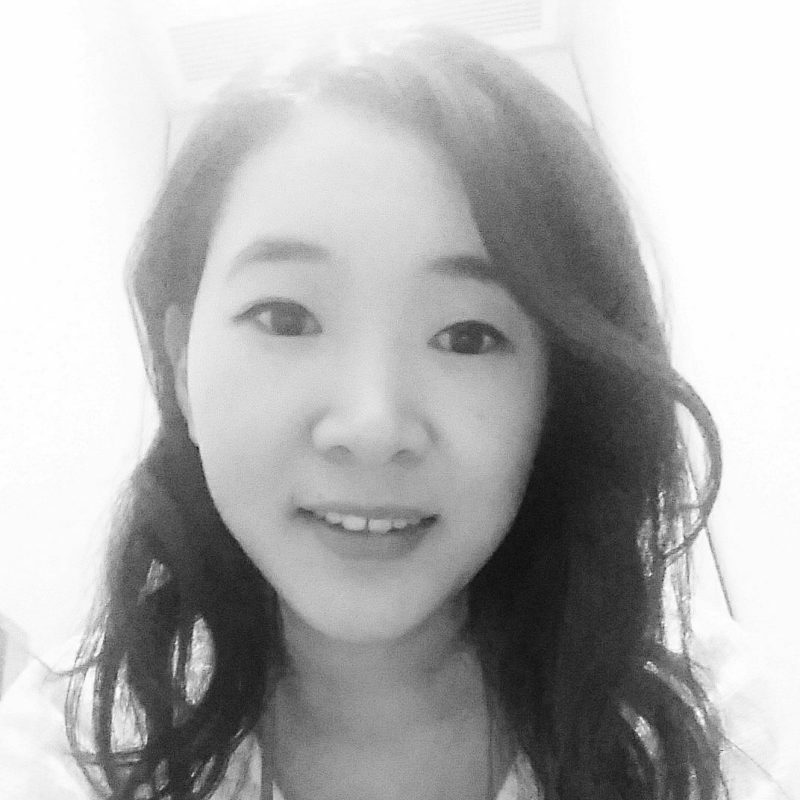 I am new to K-beauty and am LOOOOOVING it!!! Thank you! I’m glad you enjoy it! Need to get round to writing the rest of it haha. I think you just naturally learn to recognise what category products are by their function and what it claims to do etc. As you get more familiar with kbeauty product labelling everything starts making sense. If you ever need help with it just drop me a msg, id be happy to help. Hi! Thanks for your message haha I know my sunscreen post is looong overdue. Got sidetracked with other posts and ended up neglecting the last 2 in the series. I will hopefully aim to have it up this month! Thanks for waiting! I think it will be a bit too heavy for oily skin. I would recommend the green tea version instead. And no Innisfree products are free of parabens. Hi im using night lotion from The Body Shop. So is night lotion falls under step 11 or step 5? A night lotion would usually be around step 9 or 11. It also depends on it’s thickness. If the consistency is quite thick then it could be a sleeping mask also. the consistency is like body lotion. not watery but also not sticky. is that thick? sorry im new to these stuffs and theres not much information abt ‘night lotion’. but it has all the repairing and moisturizing function just like the sleeping mask. And do you mean night cream? That would fall into the category of moisturiser or sleeping mask too. Can I use morning moisturing cream in the evening and then apply Arcova rose sleeping mask ? If you have very dry skin and want to layer the sleeping mask on top of your morning cream that’s fine. Hello. Again.. in the morning I use only the listed ones. Papaya facial foam, klairs toner, niacinamide w3, moisturing cream and then sunscreen with spf 50+.. so is it ok? And i am a beginner, has been 1 day..
Yeah that sounds like a good morning routine. If your skin feels good with those steps then stick with it. I want to ask, if i am going to use the sleeping mask and face oil, what should i use first? can they be use at the same time? Hi Sari, glad you find it helpful! Yes I always mix a facial oil into my moisturiser or sleeping mask. Otherwise I would put the oil after your sleeping mask just to lock it in. Hello, I have normal to oily skin on T-zone, can I use only some emulsion after cleanser for morning routine? Which product do you suggest for my skin type? And also, would Cosrx rich honey mask be to heavy for my skin, using it for night? Yes emulsion is great to use if you have normal to oily because it’s more lightweight that a regular cream. Most brands have emulsions in their line, i would suggest looking at Innisfree. And the Cosrx honey mask isn’t rich at all; it has a gel like consistency so it is suitable for your skin. Hi, i would like to get some advise. 1) i like to put on sleeping mask everynight as it is my habit to do so. previously i use aqua gel moisturiser at night and put on water sleeping mask. but not i change my moisturizer by using cream moisturizer (instead of gel), my question, in term of absorption, will that sleeping mask can absorb to my skin if i already put on cream-moisturizer and then putting on water sleeping mask (water based)? 2) is that ok to use double moisturizer in day time? which we use gel aqua moisturizer as 1st layer and put lotion-based moisturizer. will the cause heavy to the skin in day time? 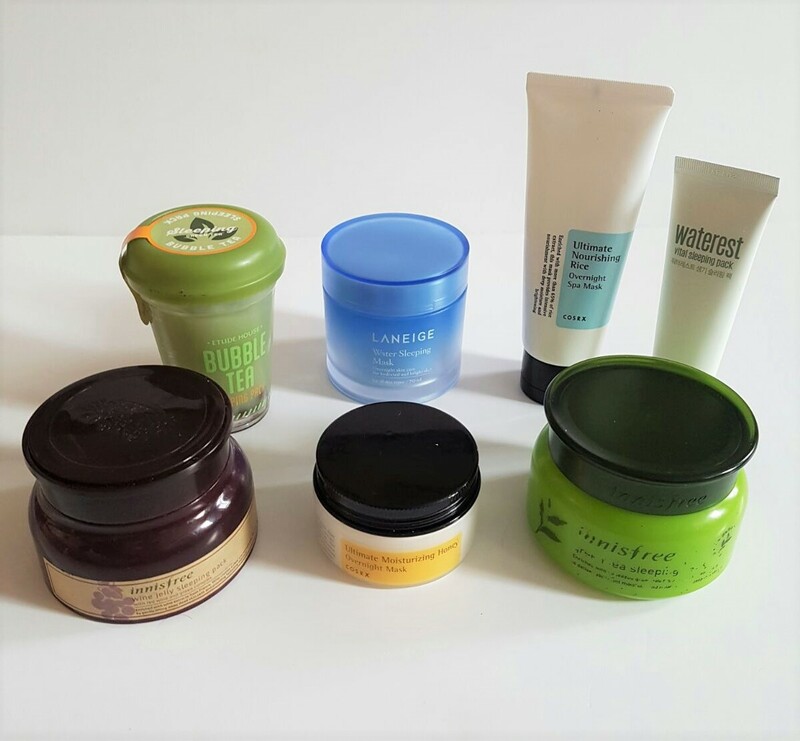 3) i love to put on gel-masker like aloevera gel, bamboo gel, coral essence gel. i will use it everyday after i go back form work to release stress over my skin. usually i put on tick layer over the face and leave it to absorb and sometime i top up again the gel to the whole face. will this case the damage of skin barrier becoz of too much gel masker on face? 4) is that true if we hydrate too much on skin, it will cause the skin lost their normal function in which the skin will only depending on skin care product to work on? 1. If you are putting a water based sleeping mask after a cream moisturiser then yes it can affect the absorption so it may not be as effective for your skin. But having both will still benefit your skin compared to not having them at all. 2.It depends on your skin type of you are using double moisturizer and your skin isnt getting oily and your pores dont feel clogged then keep doing as your are. It’s all about how your skin feels. Just adapt your skincare. 3. No you will not damage your skin barrier by topping up on gels. If your skin likes it, keep doing it.